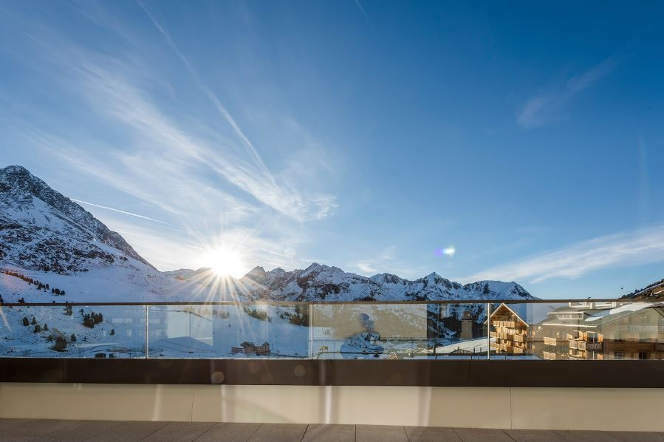 Austria is already the first choice for affordable ski properties, higher rental yields and authentic hospitality when compared to France and Switzerland but how does one decide on the type of property to buy: new-build or resale? New-build or off-plan property in Austria normally comes with a higher price tag per m² and will further increase in value as soon as you take ownership. 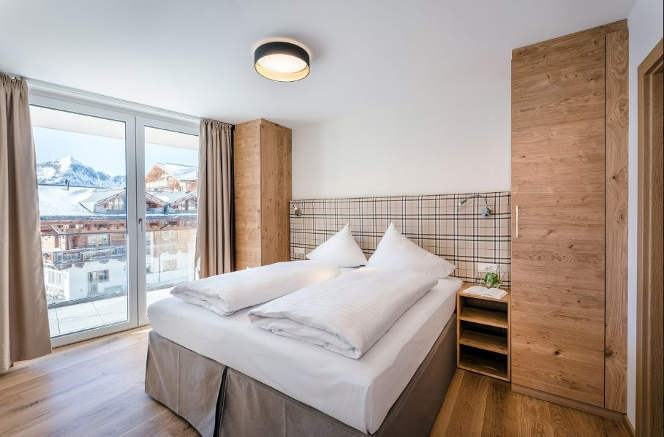 Typically, we see a 4 to 5% annual growth on our ski apartments and this can be higher in some locations in Tirol thanks to scarcity restrictions to avoid the “cold beds” trends found in France and Switzerland. According to the UBS Alpine Property Focus 2017, St Anton delivers best growth in the Alps at 8.2%. So, you might have to increase your budget for a new-build but here’s a few reasons why it’s worthwhile. New developments present an opportunity to buy into the project early increasing your chances of securing one of the best units at the lowest price and improving capital appreciation. Note that developers can increase their prices year-on-year and as the project gains interest demand starts to rise. 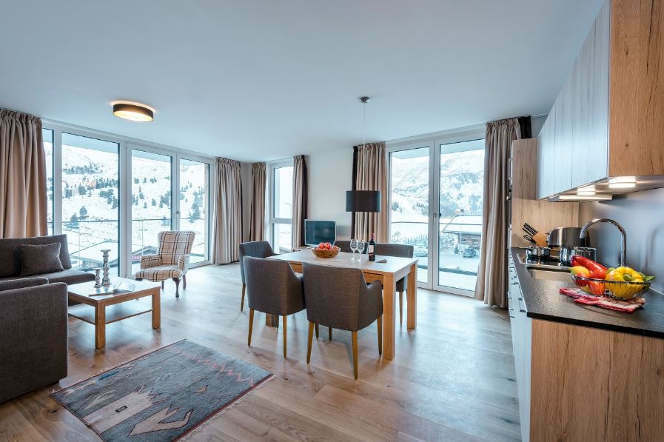 Importantly, smart new build projects are carefully chosen by a developer for their location and access to ski lifts / pistes and restaurants and can command a rental premium over resale properties. New property buyers aren’t in a chain and there is less reliance on the current owner / vendor which means less chance of the sale falling through. Buying off-plan offers attractive payment schemes which don’t exist with resale properties: you pay for your apartment in stages. The trustee will notify you in good time when each stage payment is due so you have time to prepare the transfer of funds – no need to transfer all at once. This can be particularly advantageous when using a currency service. There is also flexibility when dealing with the developer over factors such as parking spaces and choice of furniture packs and when there is joint ownership of the operating company for your apartments, it is possible for the developer to guarantee rental returns for a period during the operating agreement e.g. guaranteed 4% return on net purchase price for first 5 years. When you buy off-plan in Austria, you get a certain amount of control over the interior of the apartment. There is range of interior themes and styles to choose from and because you are dealing with the developer it is possible to make minor changes to the floor plans in the early stages of the project. 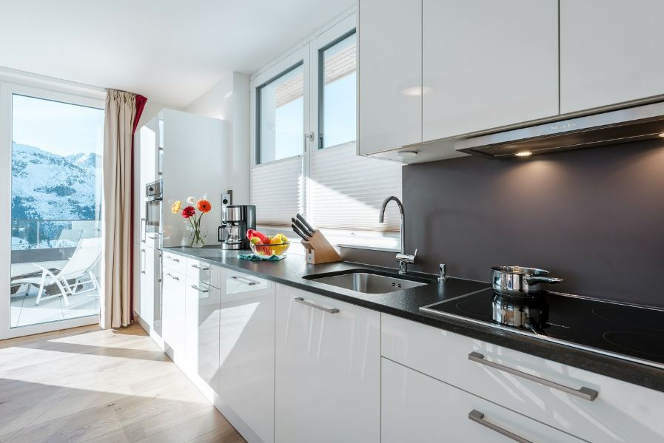 All new properties built in Austria use state-of-the-art, energy efficient methods and materials that you will simply not find in resale buildings. Greener energy solutions, more efficient heating systems and some of the highest recycling standards in Europe not only reduce your carbon footprint but lower bills. 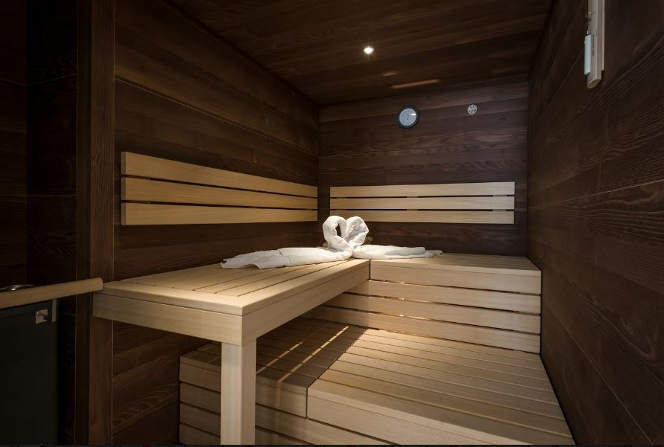 All Kristall Spaces’ developments use automatic central heating systems with air or water sourced heat pumps. 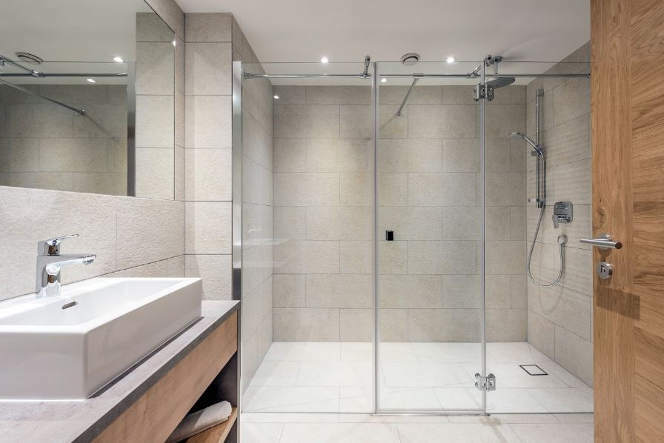 Energy is also captured from the spa and bathrooms areas to generate warmth in the underfloor heating systems via heat exchangers and our ventilation systems use the same heat recovery principles to pump fresh air into the apartments at the correct room temperature. All this results in monthly heating cost savings for owners when compared to oil or gas and delivers a greener, more sustainable solution. 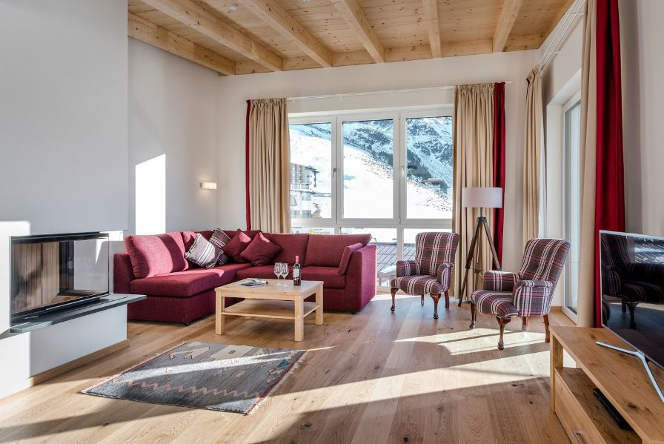 New properties in prime Austrian ski resort locations that come with a rental obligation when owners are not staying there themselves are exempt from VAT. You can save a whopping 20% on the sales price when you opt for one of these apartments. Furthermore, Austrian Building Law allows for a 30-year Statute of Limitations for all hidden defects. Please see our generic FAQ about buying and owning property in Austria or why not Contact us for advice on your Austrian property search. Please click the links below for more information on each project. 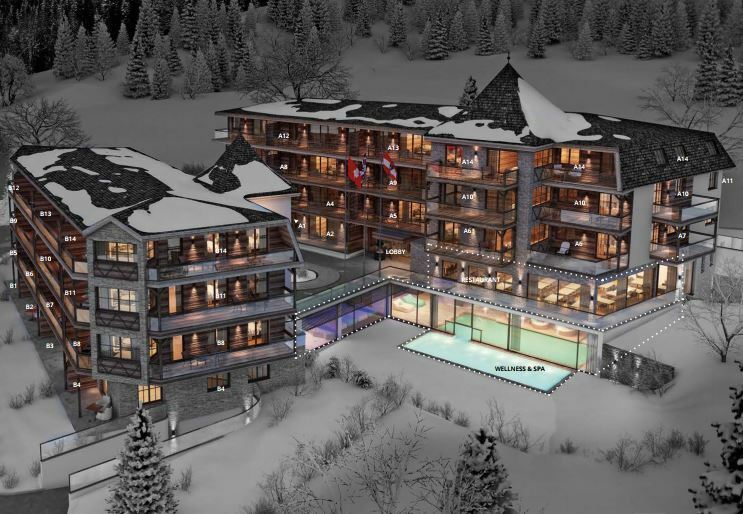 St Anton – completion date December 2017. Ready to occupy. Over 70% sold out. Award-winning ski-out apartments. Some of the best views in the valley. St Anton delivers best growth (8.2%) in UBS Alpine Property Focus 2017. Kühtai – 2 apartments left. Ready to occupy now. 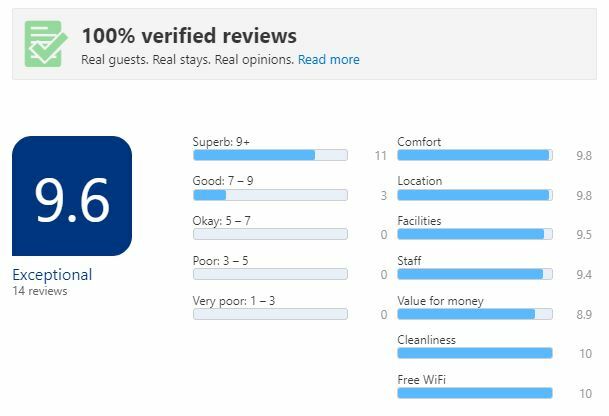 Highest customer satisfaction in Kühtai on Booking.com: 9.6 Exceptional. Ski in and out. 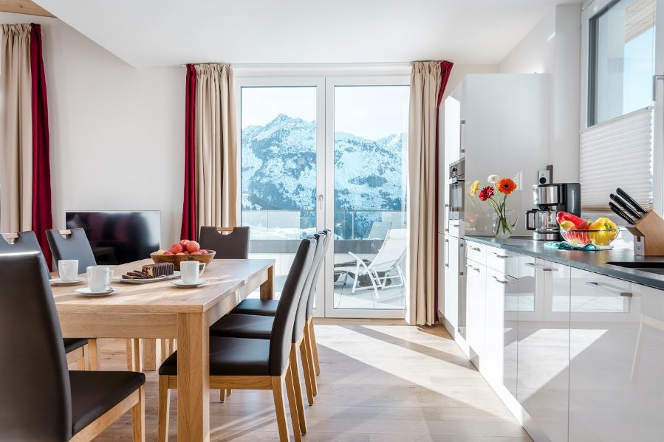 Highest ski apartments in Austria – 2,020 metres. 35 minutes from Innsbruck airport. Ötztal – dual season resort. 100 metres to the ski lift. Full pricing and availability. 8% return on capital invested when taking out a 55% mortgage or a guaranteed 4% return on net purchase price for first 5 years. 25 minutes from Innsbruck airport. Prices from 215.000€. 19 apartments sold. Sölden – revised pricing post tendering. Adjacent to family-run Gasthof Zwieselstein. Guaranteed 4% return for the first 5 years. 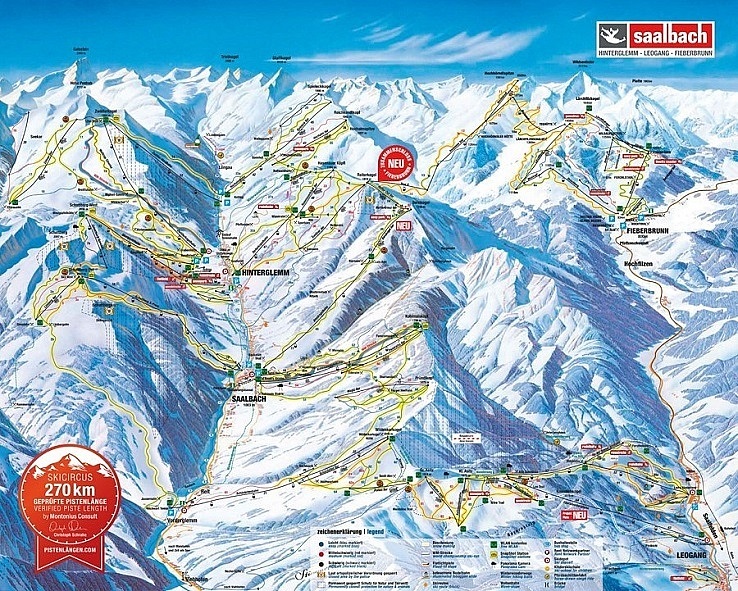 Sölden and Obergurgl-Hochgurgl now offer a joint lift pass for 3+ days. 4 apartments left. 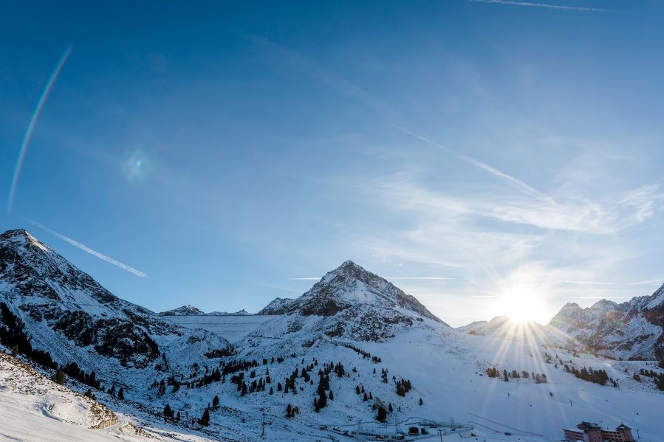 Fieberbrunn – 270km of pistes – will soon connect with Zell am See. Prices from 225.000€. Up to 8% return on capital invested when taking out a 55% mortgage or a guaranteed 4% return on net purchase price for first 5 years. Some of the highest snowfall in Tirol. Excellent off-piste skiing. 10 apartments reserved. 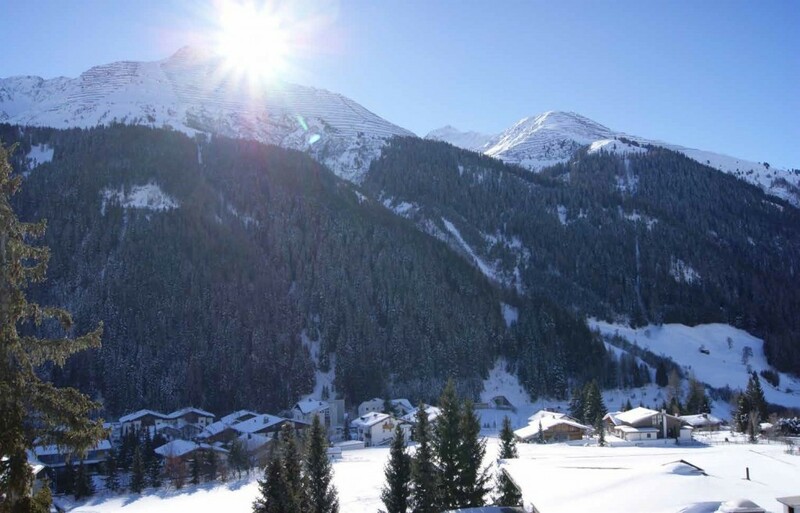 Ischgl – prices start at 5,000EUR per sq metre. Full pricing available in April 2018. Contact us today for a preview of the plans. Already taking unbinding reservations. Karwendel – pricing available in April 2018. Contact us today for plans. No rental obligation. One of the most beautiful places you will ever visit. 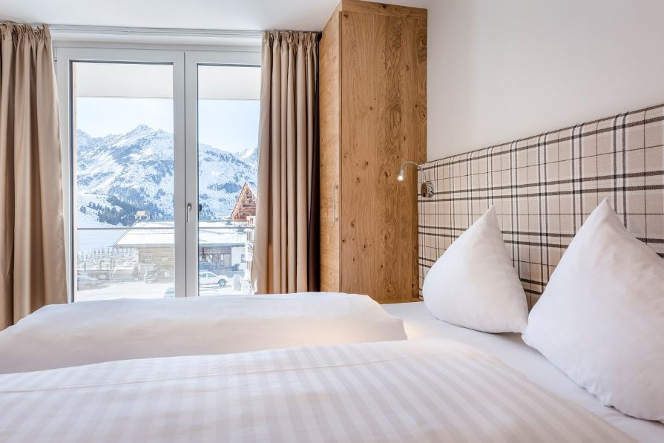 Kristall Spaces develops and sells ski property in Tirol and now we manage and rent apartments on behalf our owners through our operator business, All-Suite Resorts. The St. Anton tourist office recently confirmed a 3% rise in last winter’s visitors year on year and a 10% rise in summer visitors in 2017. This double digit growth is down to the Austrian’s success at marketing themselves more effectively as a year-round destination, in turn attracting a more diverse visitor base (the Millennials in particular). With all the ongoing infrastructure investment and demand from a more international customer base, there is room for upward price movement: 8.2% in St. Anton according to UBS. 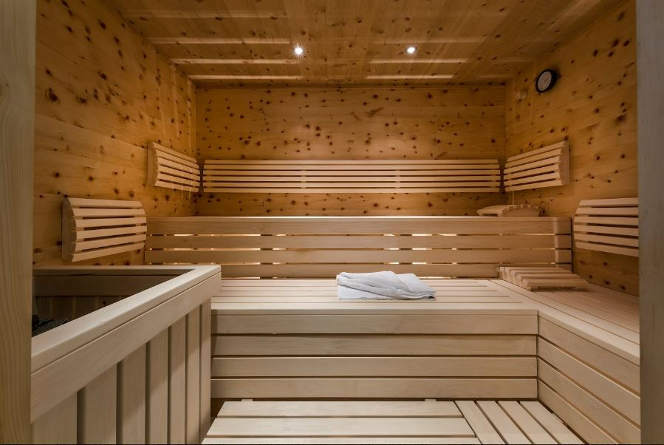 At Kristall Spaces, we have been conservative in our Mountain Spa Residences St Anton rental projections and do not include any summer rental income in the average 3.6% return calculated. We have just loaded new photos to our website from some of the unsold 2 and 3 double bedroom apartments. From these images, you can appreciate the 180 ͦ views from the apartments up and down the Rosanna valley: from the East and St Jakob, across the fields to the South and Rendl and finally to the West and the village. The photos give a good sense of the position of Haus A and the unobstructed views over Haus B which is lower down the slope. The photo below is taken from the old Haus A looking South West over Haus B towards Rendl (click to enlarge). We are on schedule for handover at the beginning of the ski season in December 2017 and there is some hope from the meteorologists’ predictions of a colder winter this year! We are delighted to report that the Kühtai 2020 Residences built and sold by Kristall Spaces and operated by our sister company All-Suite Resorts all-suite.com have received the highest customer review scores in Kühtai in only their first 7 months of operation. Kühtai 2020 Residences have scored 9.6 and been classified as Exceptional. There are 5 apartments still available which have not been rented out and are in pristine condition waiting for new owners to occupy them. 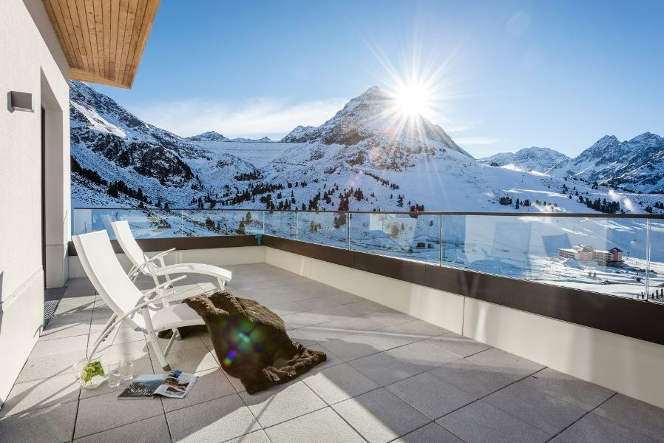 Our sister company All-Suite Resorts is offering a guaranteed 4% net return for first 3 years and with the winter and summer visits to Kühtai growing each year and future lift expansions planned, buyers can be assured of a low-risk and hassle free investment. Please don’t hesitate to contact us should you have an interest in one of our last 5 apartments. In 2018, the Fieberbrunn lift company will expand the capacity of the Streuböden-Alm reservoir ten fold to enhance the early season snow making operations. From Spring 2018, the reservoir will extended to capture more melt water than ever before and provide a more efficient and greener solution to snow-making in the run-up to Christmas. The plan involves being able to store melt water in the reservoir at a rate of 60 litres per second and then recycle it for snow-making via higher capacity pipes and 35 propeller snow-makers which will result in the entire ski area being covered and ready for skiing in 1 week. A good analysis of the current buy-to-let model in the Austrian Alps and how many British, Germans, Austrians, Dutch and Belgian buyers are investing in Tourism Residences in Austria encouraged by returns of 4 to 4.5% and freedom to use their apartment and sell it in a market offering price growth. (Knight Frank says property prices grew 4.6% in Q1 in Austria and Immodex is reporting a 34% increase in prices since 2010). It’s becoming increasingly difficult to buy Leisure Residences in dual season resorts in Tirol and the buy to let model favours investors in these locations (Oetz and Fieberbrunn receive 45% of all their visitors in Summer) as well as the local councils. 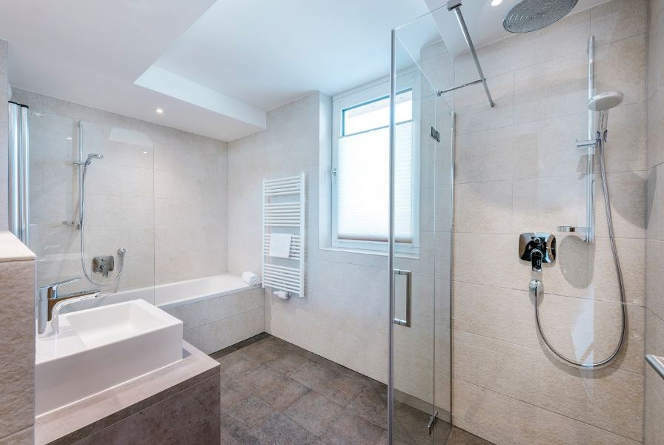 According to the author, it is crucial that apartment owners and the Gemeinde (council) have an operator in place for at least 5 years to ensure year-round visitor numbers continue to grow and support continual investment in infrastructure and amenities. 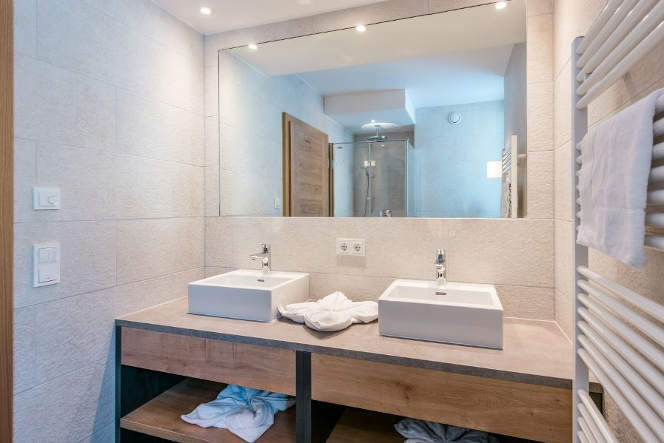 According to Statistik Austria, professionally rented apartments are also the fastest growing category of accommodation sought by tourists at 9.4% growth year on year. The management of Kristall Spaces has launched its own operator All Suite Resorts all-suite.com to provide an end-to-end management and rental service for buyers of our apartments. All Suite Resorts is planning to offer guaranteed returns across all its project locations going forward. Europe woke up to a surprise this morning. The UK Conservative Party failed to gain a bigger majority in the UK General Election meaning its position and authority is automatically weakened in its plans to negotiate a hard Brexit (where the UK gives up full access to the single market and takes control of its borders). This election was basically a public referendum on how the UK conducts its negotiations with the EU and now a softer Brexit deal is more likely. A soft Brexit is preferred by many ‘Remainers’ in the UK (remember that the referendum to leave the EU resulted in a very narrow margin of 52% leave to 48% remain). It increases the likelihood that the UK will continue to access the single market without tariffs and will remove many doubts over London’s financial hub status. The status of EU nationals moving across boarders will probably remain unchanged, although this has never been a factor preventing buyers outside the EU buying and owning property in Austria. We have many buyers from countries outside the EU e.g. Australia, South Africa, Norway and the US. Economically, the UK and Europe are looking at a period of greater economic stability compared to the disruption of a hard Brexit. The Pound will benefit and so will those buying Austrian property in Sterling. Meanwhile, Austrian property’s reputation as a safe-haven investment has further been enhanced as it continues to record growth of 4.6% in Q1 2017. 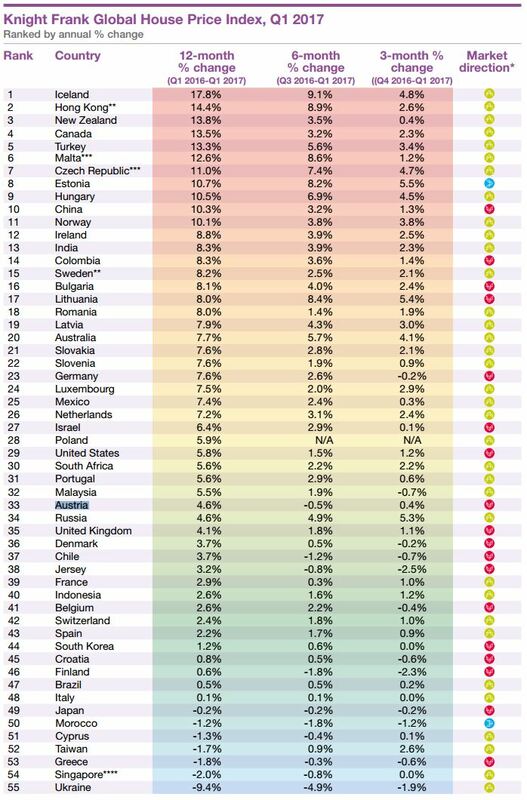 It outperformed France (2.9%) and Switzerland (2.4%), according to the Knight Frank Global House Price Index. Buyers of apartments from Kristall Spaces now have the option to engage the services of our sister company – All Suite Resorts http://all-suite.com/ * who can manage the rental, marketing and servicing of your apartment. This means you will have a fully integrated and seamless service from the moment you make the decision to purchase one of our apartments. In early 2017, the management of Kristall Spaces (the real estate sales arm) and Kristall Group (on-the-ground holding company for construction and operations) made the decision to set up the new operator business, All Suite Resorts, to ensure an even higher standard of management and rental operation for our apartments. We are already in the privileged position of advising apartment buyers as the developer and the sales agent and this has helped our teams to understand the intricacies of the customer journey more clearly. Buyers prefer to deal direct with the developer and the in-house sales and marketing team – as both internal teams work together to provide vital customer insight and feedback, enabling them to deliver a more flexible and individually tailored buying experience. Through the team of multilingual professional advisors who handhold our EU and non-EU buyers through the research, buying and ownership process, we know that extending our proposition into management and rental provides even greater comfort and peace of mind to buyers and benefits all parties. Investors feel more assured knowing that we (developer, agent and professional advisors) are involved with the resort and owners for 10 years after the handover of the property. The Kristall Group has expanded its development arm very quickly over the last three years. Nobody builds and sells more ski apartments in Austria than us. We are the industry leader with 8 ski resort apartment projects in planning or construction and 1,500 beds coming online in the next two years. To meet the rise in customer demand for professionally managed rental apartments (currently growing at 9.4% per annum source STATISK AT), we aim to expand this to 5,000 beds in the next 5 to 7 years. 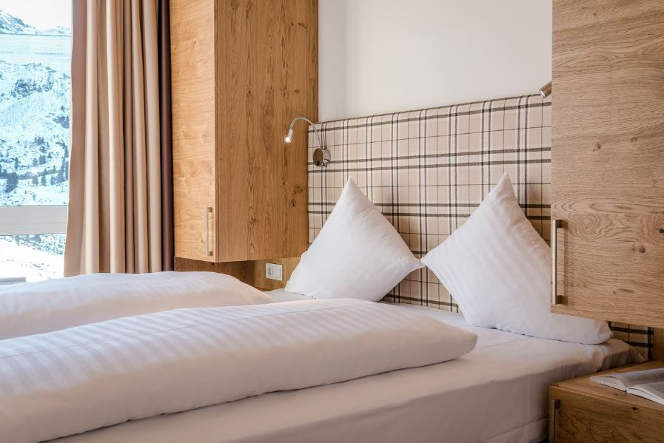 The management of All Suite Resorts is headed by an experienced and trained hotel specialist and a member of the largest hotelier family in the Ötztal. In addition, All Suite Resorts has recruited a consultant from Michaela & Partner, http://www.michaeler-partner.com, the leading advisor to the hospitality industry in Austria and engaged one of Austria’s leading Marketing and Public Relations companies, P8 in Innsbruck, to create our new website, develop brand recognition and manage our PR in the German-speaking world. All Suite Resorts has also retained a Luxury Travel and Property PR & Marketing Agency in London to oversee non German-speaking promotional activity. 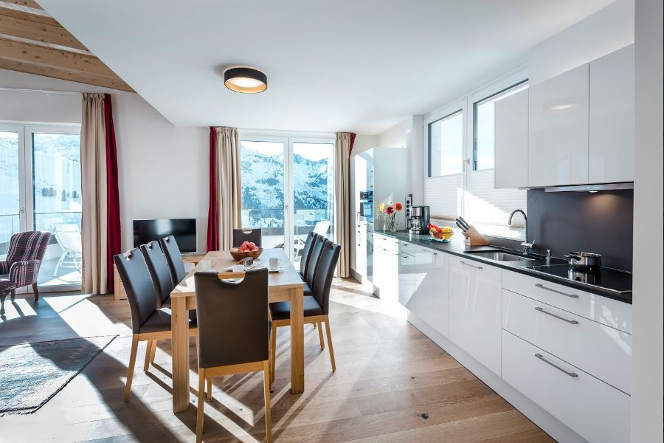 We are committed to building the most successful operator of modern luxury apartments in the Austrian Alps, providing an unrivalled level of service to rental customers whilst delivering peace of mind for our partner-owners. *This is an interim website http://all-suite.com/ until a fully integrated web / hotel booking system goes lives (currently in development). The market town of Fieberbrunn is fairy tale pretty – with a stunningly beautiful Church in the centre. Legend has it that hundreds of years ago a Tyrolean princess drank from its fountain and was cured of her fever. This prompted the local residents to change its name from Pramau to Fieberbrunn which means ‘fever fountain’. While we can’t vouch for the palliative properties of the fountain, the fresh mountain air will certainly cure many maladies. The town, with its 4,000 inhabitants, is situated on the mountain range between Kitzbühel and Saalbach, and dates back to pre-Roman times. But these days it combines old world prettiness with a cutting edge high speed gondola that takes you to the pistes of Saalbach-Hinterglemm, meaning you have access to 347km of pistes in total to ski down – making it one of the world’s biggest ski areas. And now Kristall Spaces is building 36 luxury apartments there too, in the centre of the town, close to the Church. So why are we so excited about these new Fieberbrunn apartments ? In its own right, Fieberbrunn offers a huge range of skiing for all abilities and enjoys an excellent reputation for quality snow conditions. There’s 105 km of easy skiing, 112 km of intermediate, 21km of difficult and 45km of ski routes. And its off piste skiing is world renowned – it’s an established venue for one of the events on the Freeride World Tour, the premier big mountain freeskiing and snowboarding tour in the world. With its own micro-climate and predominantly north-facing slopes, top to bottom skiing lasts well into April and about 50% more snow falls there than in neighbouring Kitzbühel, 10 km away. 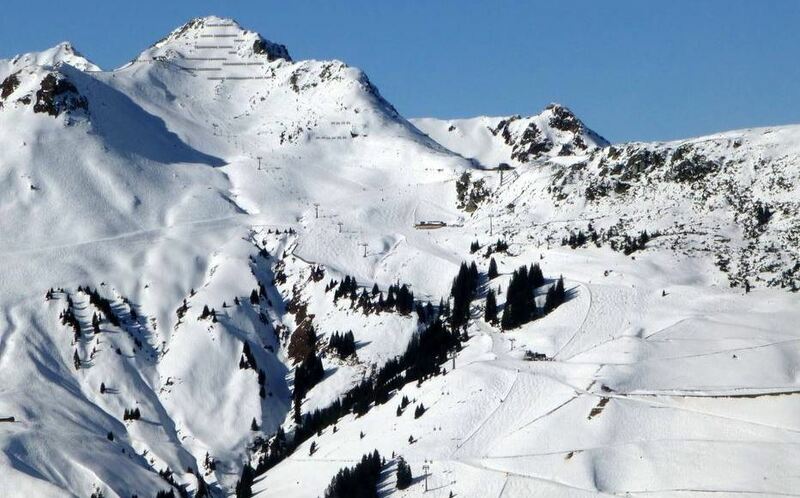 And the already extensive and varied ski area is now a gateway to an extra 270km of pistes with its link to the Saalbach-Hinterglemm Leogang ski circus – meaning that skiers are now treated to one of the most modern, lift-linked extensive ski areas in the world. And after you’ve enjoyed your skiing, there’s an excellent après ski scene too, with all manner of bars and restaurants serving competitively priced food and drinks. Should you want to try out some other activities there’s snow biking, a floodlit toboggan run, snow shoe walking and sleigh rides. But Austria is an all-round holiday destination, interestingly 51% of tourists actually come in the summer. Fieberbrunn (like Oetz) has a particularly strong and well developed summer tourism season with 45% of all annual visits taking place in the summer months. Impressive for one of the best-known free skiing destinations in Austria. The lift company and tourist board is currently getting ready for the official opening of the summer season when the lifts start running on 25 May until 26 October 2017. It’s not surprising that Fieberbrunn has such a strong summer tourist season as it offers excellent hiking and mountaineering – with 400 km of hiking trails and mountain biking and swimming in the beautiful nearby 4.3m deep Lake Lauchsee. And for families with younger children, there’s Timoks Coaster, woodland rope gardens, wildlife parks and various open air swimming pools and playgrounds. Freizeitpark Familienland Pillerseetal is a must for amusement park lovers. No queues, great rides and a fraction of the price you would expect in similar parks outside Austria. Austria is ploughing money into its ski resorts – they’ve spent 4.5billion Euros in the last 15 years, so they are becoming increasingly popular with visitors, in the first six months of 2016 there was a 10% increase in tourist visits to the Tirol, outpacing all international alpine holiday resorts – meaning there is an ever increasing need for extra beds to rent. And the fastest growing category of accommodation booked by tourists to Austria in 2016 was commercial apartment bookings – like those built by Kristall Spaces – which grew by 9.4% year on year. 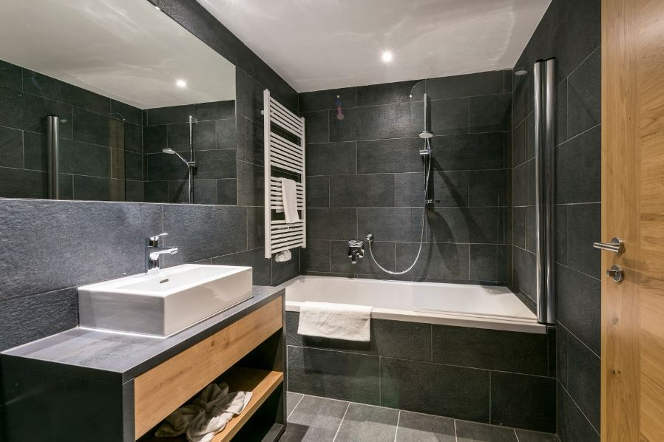 So an investment in one of our Fieberbrunn apartments means that renting it out and yielding a good return while you’re not there is an excellent proposition. Added to that is the fact that we have seen a 34% increase in the value of our properties since 2010 (source: Immodex). 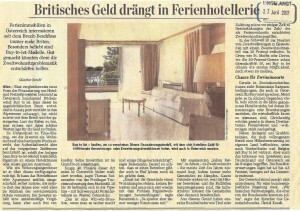 As far as buyer interest goes right now, we are mainly receiving enquiries from the EU for these Fieberbrunn apartments. UK buyers have a spring in their step right now with the General Election announcement. As investors buy Sterling, its value is rising giving overseas property investors more buying power when converted to Euros. Quite a few of our buyers use a Foreign exchange partner to buy Euros at a better rate now so they can make the stage payments at a locked in rate. Uncertainty in the French alpine market, means buyers are looking for more stable alternatives and Austria has many advantages from upward price movement to more reasonable prices for everyday items on the mountain. As for German and Dutch-speaking buyers, there is sustained confidence thanks to growing economies and stable political landscape at home. All in all, our new luxury apartments in Fieberbrunn are a hot prospect and we look forward to hearing from you to register your interest. ImmoDEX is the annual property prices report compiled by Immobilienscout which analyses average property prices across Austria and its Bundesländer. This year’s edition (published 1 March 2017) makes encouraging reading for property investors throughout Austria and especially in Tirol which has posted the highest regional gains in values since 2010. 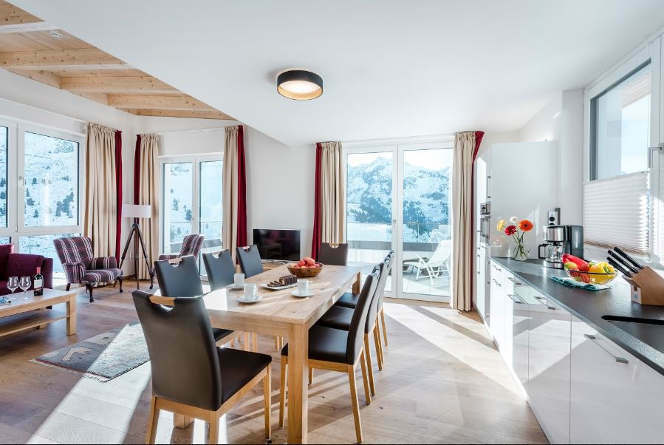 At Kristall Spaces, we have been helping owners of our ski properties to resell apartments with a typical 4 to 5% price increase applied per annum on top of the original purchase price of the newly built apartments. There is plenty of demand for any high-quality product in the right location offering altitude skiing or heavy annual snowfall, easy access and increasingly summer tourism business. It is worth noting that 51% of visitors to Austria now come in Summer (source: Tourism-review.com). We are expecting the property price trend in Tirol to continue upwards thanks to supply being carefully controlled by local councils and development managed to protect local communities and their livelihoods. Average prices in Austria are much lower than France and Switzerland (by up to 28% according to Savills) but thanks to ongoing infrastructure investment and a growing international skier base, there is room for upward price movement here. Each year, more EU and non-EU buyers are coming into the Austrian property market thanks to increasing visitor numbers and their long-term dream of a foreign property investment which delivers capital growth, an annual profit from renting and free holidays in a healthy and safe environment, all-year round. With a keen eye on the future, the Austrians lead the way when it comes to attracting new visitors to the mountains each year, especially younger consumer groups (Generation Y). 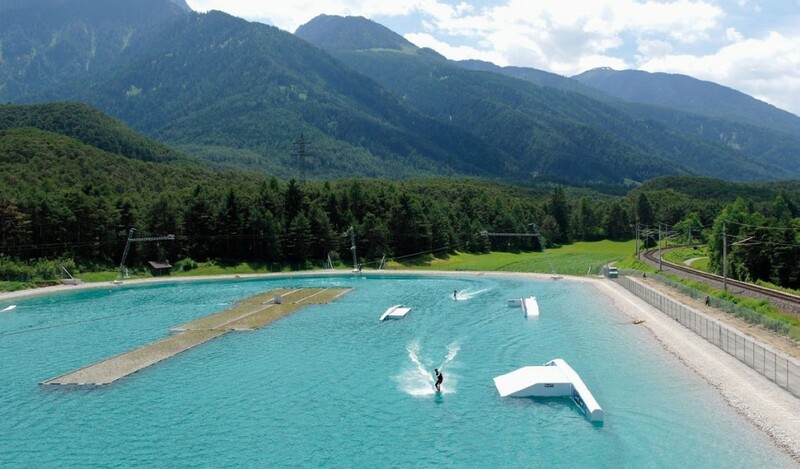 For a moment, consider Area 47 in the Ötztal: the de facto summer tourism innovation comprising over 20,000m² of extreme outdoor and water park activities, including wakeboarding at 812m above sea level. It is not surprising that the Tirol region alone delivered a >10% increase in tourist visits in the first 6 months of 2016 outpacing all international alpine holiday markets. One final piece of research published on 27 February 2017 by Statistik Austria: the fastest growing category of accommodation booked by tourists to Austria in 2016 was commercial apartment bookings (i.e. tourism residences as built by Kristall Spaces) which grew by 9.4% year-on-year.